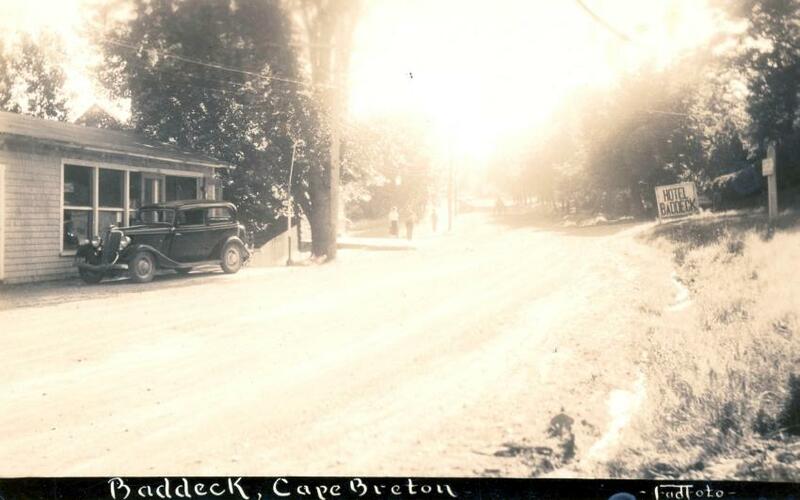 Item is a photographic postcard of Chebucto Street, Baddeck, with a car and sign for Hotel Baddeck. On the left is the building that later became the automotive laundromat. Photograph was purchased from Estelle McCrae.